Puducherry, once known as Pondicherry, is a small sea-side town in the state of Tamil Nadu, but it is a Union territory. It was once a French colony. 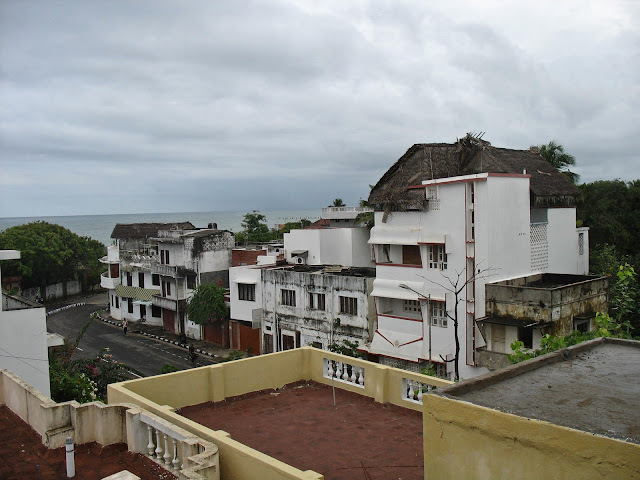 It is a beautiful little city near the sea-side and is affection called Pondy. There is still a "French Quarter" where the foreigners mostly live. Inexpensive French food is available here and delicious baked goods. This first photograph is a shot of the beach at Pondicherry which has a large pavement to walk on as well as a coffee-shop to hang out in. This is a view of Puducherry buildings and the sea. 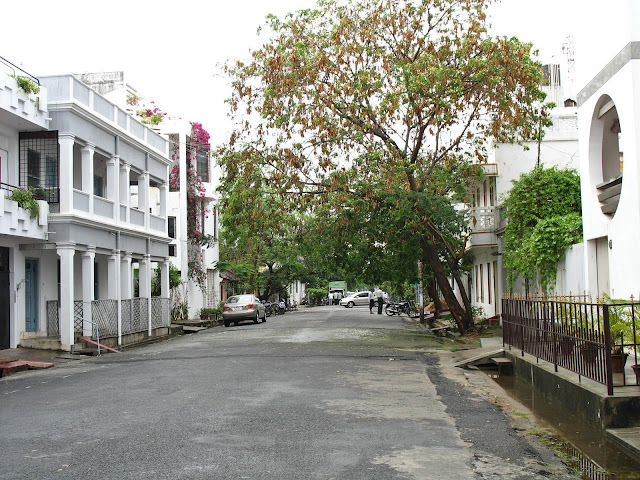 This is a street in the French Quarter of Puducherry. It's a good place to visit for some peace and quiet. 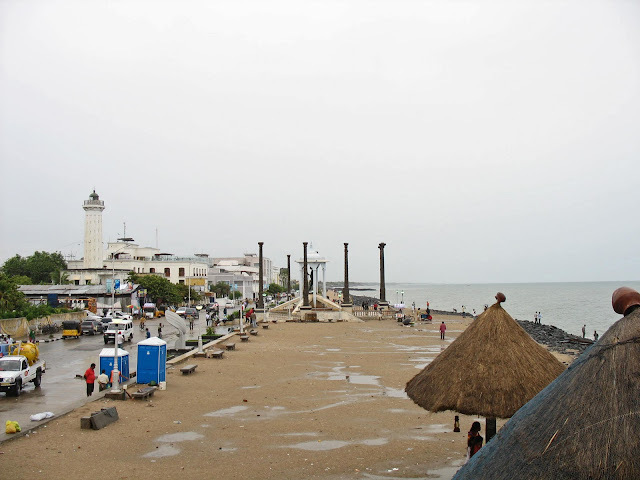 There are some lovely beaches around Puducherry. You might also like Auroville of Pondicherry or check out all the posts on Puducherry or any of the labels below this post.